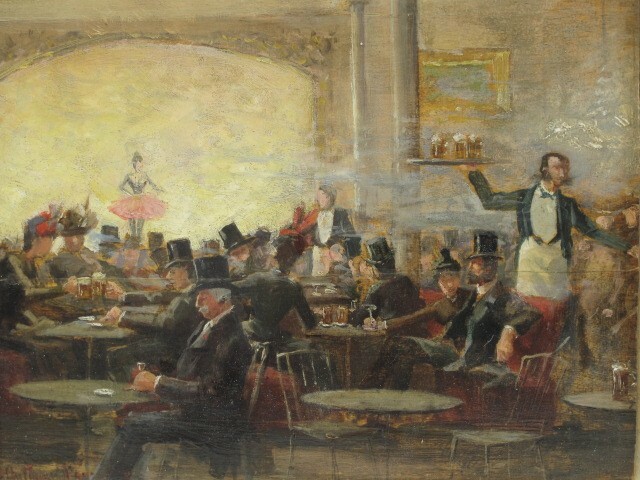 The Café Concert has its origins in Paris during the XVIII Century. A bistro was hosting people sitting at their tables and enjoying drinks and snacks while watching a show. The performance included acting, rearrangements of famous compositions, tableaux vivants, opera arias, popular songs, sleights of hand, ballets... Many painters, mostly Impressionists, have very well represented the atmosphere of these scenes. The Café Concert, also called Café Chantant, remained very popular until the arrival of new technologies such as gramophones, radios and films. Venice has always been a place of inspiration for many artists and composers, a fantastic stage for performances of all kinds. Starting from this wonderful city, and thanks to the great scores archive of Café Concert music inherited from the violinist Virgilio Marzorati, Elisa Marzorati presents Teatro Aperitivo: an event that searches the beauty and poetry of things, the melancholic but also ironic aspects of life. Immerged in the atmosphere of a Parisian bistro of the late XIX century, like a journey into the past, you will listen to music of extreme elegance and refinement that accompanies different performances, such as literary quotes, mimed stories, dances and opera arias. Thanks to the close collaboration with a group of very talented artists, the costumes by Atelier Nicolao and a refined Catering, your senses will be inebriated by a kaleidoscope of scents, images and sounds.